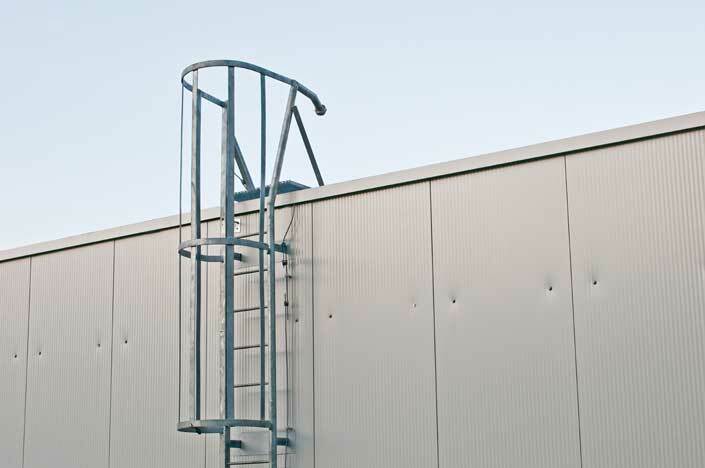 Hobbs & Porter manufacture steel access systems including access ladders with guard rails for use throughout the UK. Roof access ladder with integral guard rail. Galvanised steel illustrated.